Enhance your look, cover those flaws. The professional Hands are here to give you the perfect look from day glam look to the night shimmery look. 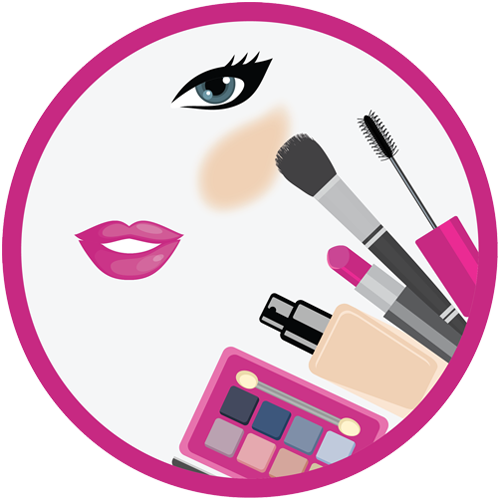 From beautiful eyes to luscious lips, you can get all, and look like a star with our make-up services. Indulge in our wide array of make-up styles for different occasions such as bridal look, photoshoot and event make-up. Get ready for day glam look or a night glamorous shimmery look with the appropriate makeup for all events. Get ready for day glam look or a night glamorous shimmery look with the appropriate makeup with extended lashes for all events. Airbrush technology used to spray on makeup for long-lasting and natural coverage make-up. Airbrush technology to spray on long-lasting and hygienic makeup application with eyelash extensions for all events. Special make-up envisaged to get the perfect image shots at the photo shoot. Special make-up with extended lashes envisaged getting the perfect image shots at the photo shoot. Photoshoot ready make-up with the latest airbrush technology, with an enhanced look of the eyes by adding lashes. Special effects make-up for different looks such as scary or bruised look, to get the perfect shot. Special effects make with focus on the eyes with extended lashes for a perfect shot. Airbrush technology for special effects to get the perfect shoot make-up for a bruised or scary look complemented with lashes to enhance your eyes. Make-up specially designed for the corporate looks and the perfect camera shot. Make-up with eyelashes specially designed for the corporate looks and the perfect camera shot. Airbrush technology used to spray on natural full coverage flawless makeup with lashes. A make-up to produce illustrative shots appropriate to the theme of the shoot. A makeup with lashes to produce illustrative shots appropriate to the theme of the shot. Airbrush technology to produce a full coverage and natural looking shot with enhanced lashes to get the perfect shot for an editorial. Appropriate make-up to complement the shades and hue of the dress and the theme of the photo shoot. Appropriate make-up with enhanced lashes to complement the shades and hue of the dress and the theme of the photo shoot. Appropriate airbrush technology used to spray on makeup with enhanced lashes to complement the shades and hue of the dress and the theme of the photo shoot. Photoshoot make-up done on the sets with touch up's for half day (4 hours). Photoshoot make-up done on the sets with touch up's for the full day on set (8 hours). Photoshoot make-up done on the sets with touch up's for the long day on the set (12 hours). Special effect prosthetic make-up to give the desired effect for the photo shoot. Special effect prosthetic makeup with eyelashes to add volume to the eyes to give the desired effect for the photo shoot. Airbrush technology kit used to provide a prosthetic look according to the need of the shot with extended lashes. You have got to look your best on your special day. Our makeup artists will help you create a naturally beautiful looking face using the perfect blend of palette of colors and textures for a glowing look. A wedding trial bridal make-up to get a preview of the wedding day bridal look. A wedding trial bridal makeup with eyelashes to get a preview of the wedding day bridal look. A wedding trial bridal makeup with airbrush technology to get a preview of the wedding day bridal look. A wedding trial bridal make-over with airbrush technology and extended eyelashes to get a preview of the wedding day bridal look. The wedding day bridal look make up with traditional or natural look make-up as desired. The wedding day bridal look make–up paired with lashes for a traditional or natural look make-up as desired. Airbrush technology is used to spray on make-up for a flawless natural looking wedding day make-up. Airbrush technology is used to spray on make-up for a flawless natural-looking makeup with lashes to enhance the bridal eyes. 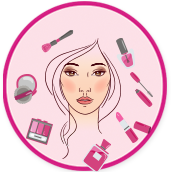 The bridal make-up touch up's for a make-up that lasts throughout the day. Wedding party is the perfect occasion to dazzle up. Our skilled artists will give you the perfect glow and makeup which will give you a look and feel of no less than a princess. The bridesmaid make-up complementing the dress and hue of the bridesmaid. The bridesmaid make-up with extended eyelashes. Airbrush technology to spray a long-lasting make-up for a bridesmaid. Airbrush technology to spray a long-lasting makeup for a bridesmaid paired with extended eyelashes. Make-up touchup's for the bridesmaid long-lasting make-up. Appropriate make-up for the flower girl at the wedding event. A long-lasting subtle make-up matching the skin tone and dress shade for the junior bridesmaid. A long-lasting subtle make-up paired with enhanced eyelashes matching the skin tone and dress shade for the junior bridesmaid. Airbrush technology infused makeup sprayed on the face for a flawless, seamless final appearance of the junior bridesmaid. Airbrush technology infused makeup sprayed on the face with enhanced lashes for a flawless, seamless final appearance of the junior bridesmaid. Make-up touch up for a consistent flawless, seamless appearance of the junior bridesmaid. The special make-up with a flawless finish for the bride's or groom's mother for a subtle look suitable to her dress and skin tone. The special make-up with a flawless finish and lashes for the bride's or groom's mother for a subtle look suitable to her dress and skin tone. Airbrush technology used to spray on make-up for a flawless and long-lasting make-up. Airbrush technology used to spray on make-up and lashes attached to the eyes for a flawless and long-lasting make-up. A touch up for long-lasting make-up for the bride or groom's mother. A subtle and natural look make-up for the grandmother. Airbrush technology infused sprayed make-up for the grandmothers for flawless, wrinkle-free skin. Airbrush technology infused sprayed make-up with lashes for the grandmothers for flawless, wrinkle-free skin.